Design - We can sit down with you before you make a purchase so that it is done right the first time. 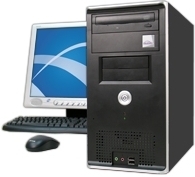 Sales - Once you decide what is necessary for your business, we can quote and sell the software and hardware necessary. Support - Whether you purchased from us or elsewhere, we are willing to support you and your components.